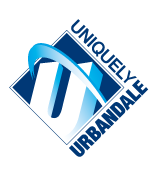 The Urbandale Community School District provides a guaranteed and viable curriculum for all students. Curriculum is the work and learning of students. It involves instructional planning on the part of the teacher, the use of effective learning strategies with students, and ongoing assessment of student learning. Curriculum provides students, teachers, and parents with clear goals and targets for achievement. Planning for student success begins with a focus on student-centered classrooms. Collaborative teams of teachers build unit and lesson plans that incorporate a variety of formative and summative assessments with student-centered learning as a foundational framework. Through the UCSD Curriculum Review Process, Urbandale develops a consistent, rigorous, and relevant curriculum that educates the whole child and aligns with the Iowa Core. Iowa Core provides academic expectations for all Iowa’s K-12 students. It does so by helping teachers take learning to a deeper level by focusing on a well-researched set of standards in literacy and mathematics, and essential concepts and skills in science, social studies, and 21st century learning (civic literacy, financial literacy, technology literacy, health literacy, and employability skills). The Iowa Core is a student-based approach that supports high expectations for all students. Please click on the subject areas to learn more about the UCSD Curriculum.